This year, the SFPE Board of Directors has granted Prof. Bart Merci, the program coordinator of the International Master of Science in Fire Safety Engineering (IMFSE), the prestigious award of David A. Lucht Lamp of Knowledge, an award honoring an organization, company, or individual that has contributed substantially to increasing the opportunities for higher education in fire protection engineering. 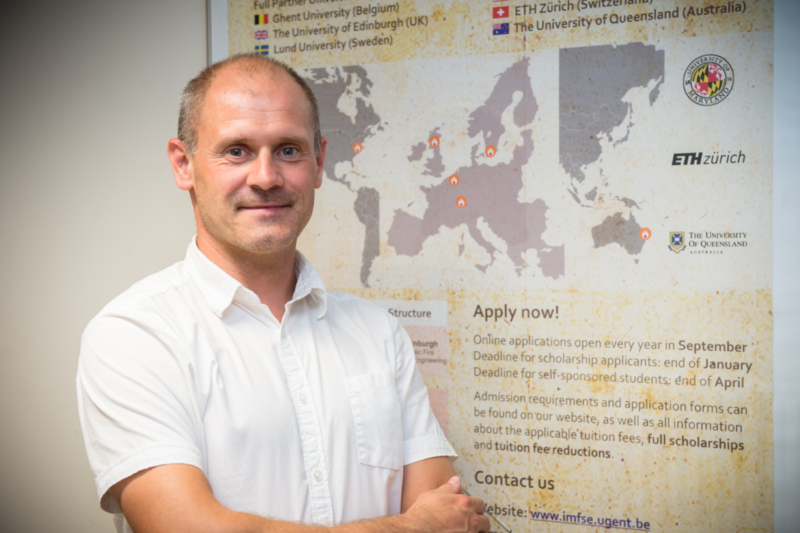 This recognition marks yet another great achievement by Prof. Bart Merci as well as the IMFSE program, labeled as a success story by the Erasmus+ program of the European Commission. The David A. Lucht Lamp of Knowledge Award is named after David A. Lucht, P.E., FSFPE, in recognition of his 25 years of leadership and dedication to the Worcester Polytechnic Institute (WPI) Center for Fire Safety Studies and his diligent efforts on behalf of the fire protection engineering profession.